Situated on a ravine overlooking the Maumee River this outdoor living area was added to an existing home. The Outcropping stone leading to the back patio has LED lighting. 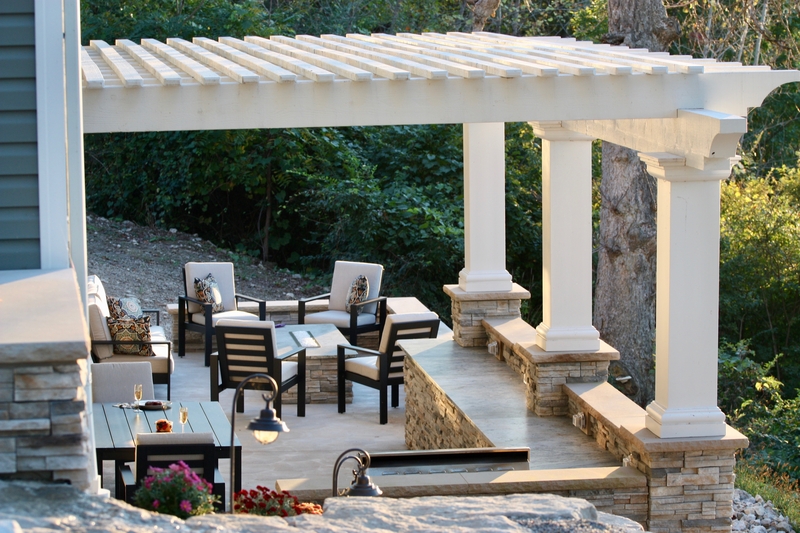 The Patio area has a Western Red Cedar Pergola stained with White to match the homes trim. There is a built-in grill and ample granite counter top with electrical outlets and under counter LED lighting. The sitting area has a flame table and a sit wall for extra seating.